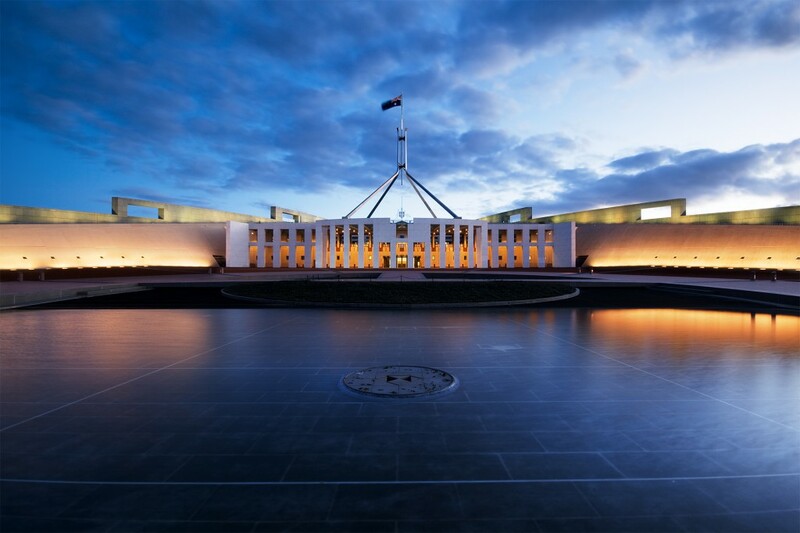 Graeme Dobell’s posts on the non-tabling of the Defence White Paper and National Security Strategy (here , here  and here ) and the attitude of the Executive to Parliament raise some interesting issues about the separation of policy departments from Parliament. Another aspect of the problem is the extent to which the new Parliament House has become a bunker that separates ministers from their departments. This isn’t what Canberra was meant to be about. It’s often forgotten that a key reason for Robert Menzies’ drive to revitalise the national capital project in the 1950s was his concern that the retention of so many departments—most notably Defence and the Services—in Melbourne or Sydney was at the expense of effective ministerial control. The second volume of A.W. Martin’s comprehensive biography Robert Menzies: A Life gives many details of Menzies’ views, citing the historian David Lee’s judgement that Menzies ‘directed that all ministers should be in direct and continuous contact with their departments and warned them against administration of departments by remote control’. (p.382) The implication of Menzies’ assessment was that ministers should not only be in the same city as their departments, but should, whenever possible, be physically located with them. Martin has uncovered other evidence to this effect. The British High Commissioner of the day was even clearer in his report home of a conversation with the Prime Minister, noting the latter ‘had found to his horror that [Hubert] Anthony [the Postmaster General] had visited the Post-Office department (in Melbourne) only twice in the course of the previous two years.’ (p.269) Anthony wasn’t the only Minister to be so derelict, nor even the worst offender, and Menzies wasn’t prepared to let the situation continue. Ministers and their departments had to be closer. In the 1960s, after some of the biggest transfers to Canberra had been achieved, there could be such close relationships. They could and did work well. A minister like Senator John Gorton was an outstanding example in the Navy portfolio. Perhaps the old Parliament House was sufficiently uncomfortable and crowded, even for ministers, that the much more modern (and much larger) ministerial offices in the departments were attractive enough to lure them out. This might have been what Menzies expected would happen all along. But with the completion of the new Parliament House in 1988, the rot set in. The bigger and better facilities proved too great a temptation and, once ensconced, the politicians and their immediate staff were going nowhere except their electorates. We’ve now reached the point, even when departments continue to provide ministerial offices, where very few public servants have experienced the sustained physical presence of their minister inside the department in the last decade or more. In fact, the physical separation of ministers and bureaucracy isn’t the only problem. The Parliament building itself is one as well. However impressive the ‘new’ Parliament House is as a concept and in its public spaces, much of the architecture of the offices and corridors is a recipe for passive aggression. The confusing and antiseptic layout of the administrative wings can be chilling for neophyte public officials—and probably the more experienced ones as well—as they negotiate the labyrinth to find their minister’s suite. They may not find it on the first or second try. Or the third. In such an environment, even department heads must find it difficult to establish a comfortable working relationship with their ministers. Better signage would be a start, whatever that might mean for the aesthetic of the place. But what would help much more, no matter who wins the forthcoming election, would be clear direction from the incoming Prime Minister that ministers go forth and administer their departments when Parliament is not in session. On the spot. In person. They might learn a lot. It might even help them to do a better job—and to ensure that officials do theirs. Rear Admiral (ret’d) James Goldrick is a fellow of the RAN’s Sea Power Centre and a visiting fellow at the Lowy Institute. Image courtesy of Wikimedia Commons .